Welcome to Churn Creek Retrievers. We are located In Kent County, on the upper Eastern Shore of Maryland. Ed and Amy Myers and family have been raising and breeding working Labrador retrievers since 2000. All our dogs hunt waterfowl and compete in AKC hunt tests. Our dogs are raised in our house with our family. All puppies come from titled breed stock that are free of known hereditary diseases and defects including hips, elbows, eyes, EIC, and CNM. 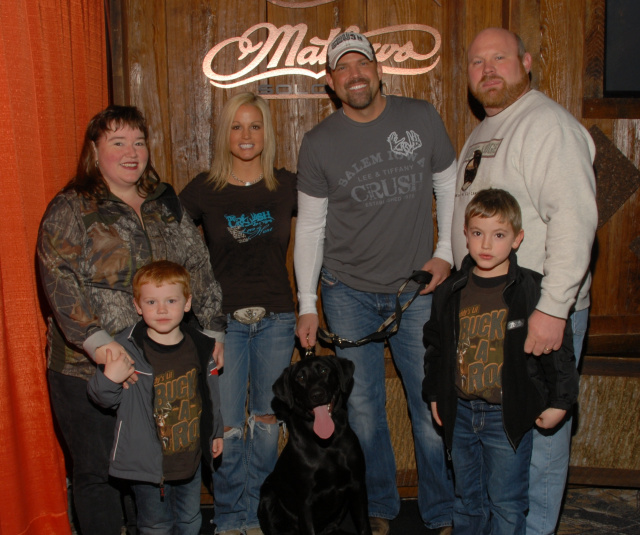 In 2011 we officially established the name Churn Creek Retrievers with AKC. As a result of producing excellent puppies that have achieved success in AKC events, we have been awarded a "Breeder of Merit" status with AKC. Our goal is to produce Labrador retrievers that conform to breed standard, are healthy, and have calm temperaments. These puppies will possess traits that will enable them to be competitive in AKC Field Trials, Hunt Tests, Agility, or Confirmation events, as well as good hunting and family pets. Churn Creek Retrievers is the proud birthplace of Tank Lakosky, as seen on the television show “The Crush” with Lee and Tiffany Lakosky on the Outdoor Channel.